Approximate Tile Size :10" x 10 1/2"
Diamonds are everyone's best friend with our Silver Leaf Autumn Slate Diamond. 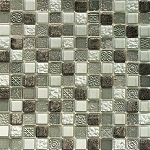 This mosaic features silver shimmer glass diamonds accompanied by Autumn Green slate. 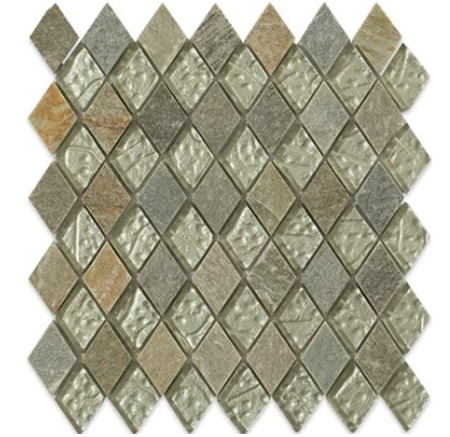 This rustic and natural slate paired with the glamour of the shimmering glass makes this mosaic the perfect addition to any traditional or transitional home.